Ipsos asked over 1,000 people this question and almost all of them said “yes”. That’s 92% of your potential customers who said the cleanliness of your business will affect their decision to return. And it doesn’t have to be first-hand knowledge. 90% said that simply reading a review that mentioned poor housekeeping would be enough to keep them from trying out a new place. Before we go any further, maybe you should take a look around; run a wet cloth over that table, pick up that candy wrapper that missed the trash can. . . and do we even need to talk about the state of your restroom? 42% of those surveyed said a filthy restroom was the most off-putting issue, second only to foul smells. If the foul smell is coming from the restroom, 75% said they’d leave the establishment immediately. Then, 73% would go online and leave a bad review. If your place is just a little dirty, you might get away with it, as long as you’re not a doctor, restaurant or hotel. 90% of those surveyed said they’d actually consider changing doctors if the waiting room was always filthy. Almost everyone said they’d ask to be moved to a different room if the bedding was dirty (and probably choose a different hotel next time) and 93% would request a different table if the busboy did a bad job cleaning up after the previous diners. Most of the concerns stem from horror stories consumers have heard about food borne illnesses and people getting sick after staying at a hotel but this isn’t all about germs. The survey respondents put “fingerprints on windows or mirrors” as the 3rd most disturbing issue, even worse (just slightly) than encountering dirty or unkempt workers. The point of all of this is that customers notice; they notice the dust, the ketchup splash, the empty toilet paper roll and the litter in the parking lot. It all goes into their decision to stay and do business, return with more business and what kind of review they’ll leave your business for all the world to see. Because cleanliness isn’t just about health and safety, though those are primary concerns. 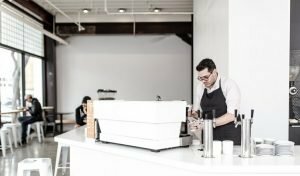 It’s about respect for your customers and your ability to serve them properly. What does it say about you if you’re scribbling estimates on the back of an old envelope or handing over reports with grease stains from lunch? We’re all short on time and money – two things you need to keep a business truly clean. But letting it go and hoping to get by on your talent and /or charm is going to cost you more in lost business than the nightly wage of a good janitorial crew. No more dirty, little secrets, clearly your company’s reputation is riding on you coming clean. Between CEO’s confessing to corporate misdoings, and celebrities regretting their latest offensive tweet, the public apology has become as commonplace as the crazy cat video. But how does an apologizer know if they’ve been forgiven for their transgressions? By checking the “Sorry” app, of course! Former news anchor, Greta Van Susteren cryptically teased the release of her new app on Facebook. Was she serious? Is this a real thing? Do we actually need an app for public apologies? I can’t answer the first two questions, but I can answer the third. Sorry sounds like exactly what we need to kick off the new year. The app (allegedly) comes with two apology levels: public and private. If you’ve wronged your spouse, you can us the app to privately say you’re so, so very sorry. If and when the offended party accepts, via the “accept” button on the app, then you’ll know it’s safe to come home. Apology rejected? Better make other plans. Maybe the app can have an upgrade option that gives you good long-term rates at a local hotel. The public side of the app is where its at. Every day, the app users can skim through a list of current public apologies accepting and rejecting along the way. Movie star apologies for his insensitive remarks on the red carpet: apology rejected! With great celebrity comes great responsibility, so you’re not getting off that easily. Data breaches are so common these days, there’s really no profit in holding a grudge. And speaking of data, Van Susteren could make a mint selling off the app data if this thing blows up. What would a PR firm pay to the demographics on who accepted their client’s apology and who didn’t? It would be much easier to draft a follow-up statement if you new it was 80% young, educated women who gave the thumbs down, wouldn’t it? If we were talking about this 5 years ago, it would sound like a silly, flash-in-the-pan idea, but the world has changed in so many ways. Take the recent round of accusations in Hollywood. In the past, a studio would have rallied behind their stars. A donation to charity, a few pictures with a group of needy kids and you’re back in the public’s good graces. We’re not falling for that anymore. Now, instead of rallying, companies are doing all they can to distance themselves from the offenders and it’s costing billions. Reparations, shutdowns, canceled contracts, finding last minute replacements, wiping all evidence of a connection off of advertising, even past projects. I’m not minimizing the social and emotional impact of this year’s biggest offenders, but the financial impact is putting good companies and good people out of business. 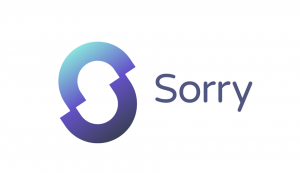 Greta Van Susteren’s ‘Sorry’ app is a sign of the times. Sure, plenty of people will see it as a fun, little game for the celebrity obsessed. Others will view it as a way to make their voice heard. But for you, the business owner, CEO or celebrity, having the app on your phone will be a daily reminder to live your life in a way that leave you never having to say you’re sorry. Andy’s take: If you make a mistake, consider this app as just one more new channel to share your regret and apology. Don’t make the mistake in thinking this app can replace the need for you to make a heartfelt, personal apology to those you’ve offended. On the TV series Designated Survivor, President Tom Kirkman is known as a man of the people. His entire reputation is based on the fact that he truly understands the working man and his issues. So it really hurt when a close friend of the President’s went on national television to say that, in a private conversation, Kirkman called the American people ‘suckers’. Suckers? Certainly not the worst word a person could utter, but when your reputation is based on honesty and transparency, it’s a very low blow. The fictional President’s fictional advisors advised him to immediately issue a statement saying that the Senator’s account was completely untrue. One problem; it was true. Kirkman did call the American people suckers but it was a sarcastic retort uttered out of frustration when his old friend the Senator refused to sign off on a pension bailout bill. Rather than compound the situation with a lie, Kirkman decided to ignore the jab. Surely the news had better stories to cover. But no; by morning “Suckergate” was trending on social media as every news outlet added their two cents to the story. Kirkman was annoyed but not worried; it’s just words on paper, people will get over it. But no – again. Soon, everyone associated with Kirkman’s administration began stepping back, rather than risk getting pulled down by the rising tide. One Senator even used the bad press as an excuse to strike all of Kirkman’s Supreme Court nominees because those people were “toxic”, too. Desperate for a solution to the growing reputation nightmare; Kirkman’s team digs up dirt on the Senator who started the fracas. The President can use this information to retaliate, giving the press an even bigger (and juicier) story to chase. Again, Kirkman refuses to compromise his morals even at the risk of losing everything he’s worked for since taking office. His team thinks he’s crazy, but we here at Reputation Refinery applaud his actions. Yes, it’s just a TV show but how often have we seen similar stories played out in real life? And how often have we seen the offending party try to lie his way out of the mess? So how did Kirkman save his reputation? He went on TV and admitted that it was all true. He did call the American people suckers for believing that the American dream was still a possibility in 2017. And then he added his own name to the suckers list – because he believes in a better tomorrow, too. Cliché and a bit cutesy, but there’s a lesson to be learned from the story. It’s tempting to try and correct an error by saying it never happened – or in Kirkman’s case – that your remarks were taken out of context. But the more you try to wiggle out from under, the more people will turn against you. It’s painful, but admitting you have a problem is the first step in the recovery process. Even if others were involved in the problem, it never helps to publicly blame another person. And if you think writing a large check to charity will get you out of hot water, think again. The American people aren’t suckers when it comes to obvious acts of gratuitous giving. By all means, give to charity, but do it after you’ve made amends and you’re back in the public’s good graces. You know what’s even better than facing the truth and making amends? Not crossing the line in the first place. We all need to choose our words more carefully. “It was a personal conversation” or “it was just a joke” doesn’t cut it, anymore. People need to know that you’re as honest and respectful in private as you are in public. One word really can change everything. Don’t let a slip of the tongue destroy the reputation you’ve worked so hard to build. Risk Based Security says there have been over 2,227 publicly disclosed data compromises in just the first half of 2017. These data breaches tapped in to over 6 billion records exposing names, addresses, credit card information, birthdates, shopping habits and – in the case of the recent Equifax hack – valuable social security numbers. 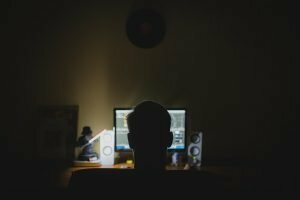 While larger companies are the target for brute force hacking, smaller companies are more likely to shoot themselves in the foot, when it comes to data breaches and their reputation. According to a new study from Keeper Security, 61% of small businesses said they’d experienced a data breach sometime in the past year. That’s up from 55% in 2016. Doesn’t seem like too bad of a jump until you see that the number of records impacted almost doubled year over year. Here’s the really maddening part; 54% of breaches were caused by employee or contractor negligence. 7% were caused by a malicious insider. Add that up and it means we need to get our own houses in order before we start worrying about anonymous hackers. The biggest pain point for small business owners are mobile devices. On average, 49% said that their employees were using mobile devices to access “business critical” applications. Still, the majority of SMB owners said they don’t require employees to password lock their devices because “resetting passwords reduces employee productivity” and they don’t have the manpower to monitor for compliant behavior. In fact, a lack of man power, followed closely by a lack of funds, was the main reason most small businesses aren’t as secure as they could be. As a result, nearly 70% of those surveyed said they were concerned about their ability to properly secure internet connected devices in the workplace. The good news is that even a small upgrade in security protocols could prevent an employee triggered data breach. If employees are using a mobile phone, tablet or laptop to access company records, insist that they password protect their devices and that they change the passwords regularly. Remember, even if an employee doesn’t deal directly with customer data, a good hacker can still use an unprotected company login to access other files on the same server. If you deal with highly sensitive information, use software that logs the username and path of everyone who accesses that information. And though it should go without saying, say it anyway: regularly remind your employees to play it safe, keep it private and report any suspicious activity right away. Finally, don’t fall victim to human nature. Change passwords after an employee leaves the company, even if it’s on good terms. Yes, it’s a pain in the neck, but it’s nothing compared to the pain of telling your customers that their private information is in the hands of a hacker. MoviePass generated an enormous amount of good buzz last month when they lowered the price on their “Unlimited” movie pass to only $9.95. For only $10 a month, the pass allows a person to see one movie every 24 hours, at almost any theater in the country. Crazy, right? But this isn’t the plan of some overly ambitious, newbie start-up team. This comes from Mitch Lowe – the man who helped launch Netflix and Redbox. This is a man who has experience with entertainment disruption and low price subscription plans that result in large profits. So what went wrong this time around? In 2 days, the company saw more growth than they’d seen in their entire six years of business adding an estimated 150,000 new subscribers to the 20,000 they already had. What happens when more than 100,000 people try to hit a website in the same 48 hour period? It crashes, over and over. Damage done: not too much. People were upset but most were willing to wait it out as the value was just too good to pass up. Once people got into the site, they encountered a different problem. They couldn’t find out if their local theater accepted MoviePass before signing up. (This wasn’t actually true, but that’s how it appeared). This made people anxious and started a large flow of customer service emails that couldn’t be answered. Reputation Strike 2: not making the process crystal clear on the site, including obvious lists of participating theaters on the web (not just on the app). Reputation Plus Points 1: MoviePass posted a statement on their blog, explaining the situation and offering direct links to the FAQ. Damage done: this one started to hurt. People began to feel like they were being scammed when MoviePass kept replying “don’t worry, 99% of theaters are covered”. Meanwhile the AMC movie chain was publicly promising to block anyone using the program. Stage three was card delivery. I signed up on day one and expected my card in the projected 3-5 business days. I was excited and anxious to try this new toy but after waiting two weeks, I got an email saying that “due to the large volume” I wouldn’t get my pass until well into September. Reputation Strike 3: not anticipating the load again, forcing people to wait nearly a month for delivery. Reputation Plus Points 2: sending a letter to explain the delay and giving anticipated shipping dates. 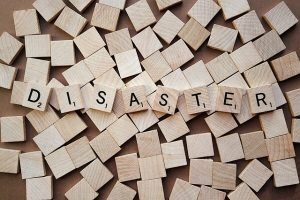 Damage Done: even though the letter helped, it didn’t stop the constant barrage of people complaining about late delivery on Facebook, Twitter, the FAQ pages and all forms of MoviePass customer service. Complaints – but few actually threatening to cancel. Now it’s mid-September and MoviePass – despite having 3 strikes against it – is starting to turn the tide. Cards have been delivered, people are going to the movies and the positive reviews are trickling in. “Trickling” being the important word here, because many people (including me) are still stuck in MoviePass madness. In my case, my first attempt to use the card resulted in a decline by my theater because the system didn’t load enough money on the card to pay for the ticket ($3.50 credit toward a $12.00 ticket). I contacted customer service through the app chat while I was at the theater. I got a response an hour later in the form of another question, not a solution. I also tried Twitter customer service but no response at all. It was there that I encountered the 100s and 100s of people like me who were asking about declined cards, glitches in the app, how to get reimbursed for tickets (the robo answer tells you to pay full price and then send proof to Moviepass for a refund). Reputation Strike 4: a system that can’t handle the load plus an overwhelmed customer service center equals. . .
Major Reputation Damage: at this point, people are planning to cancel – if they can figure out how. 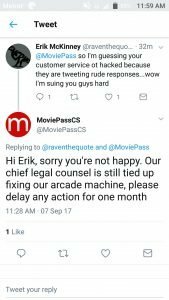 Journalists are writing full articles about MoviePass fail and some are speculating that this whole thing was a scam to bolster the company before sale or bankruptcy. They knew they couldn’t make a profit with this many customers, so they’re purposely driving people to cancel to get the right balance. I suppose it’s possible, but I doubt that’s the case. The final blow comes in the form of a sarcastic tweet response that probably came from an overwrought, overworked customer service agent. There’s no excuse for this, but it’s understandable. Final Tally: For only $9.95 a month, Moviepass bought itself one heck of a lot of publicity both good and bad. At the moment, the bad side appears to be winning but if they can become better communicators while they fix the problems, that will go a long way toward shifting public opinion. UPDATE: Looks like they heard us! MoviePass just posted another update saying they’ve increased manpower to take care of the backlog. That’s how you mend a broken rep!